As an entrepreneur or business owner, you are constantly on the lookout for ways to get customers in through the door. One way to do this is public relations – the art of influencing public opinion through communications. Public relation is an authentic way to gain positive brand mentions and broaden your reach. When you get the right kind of publicity, more prospects are likely to be interested in your brand. You may be unsure about how to use PR to increase the visibility of your business. You don’t need a degree in public relations to be successful at publicizing your brand. Keep in mind that you are the expert, and you know more about your company than anyone else. As the owner of the business, you have the credibility and expertise necessary to capture the attention of the media. DIY PR can bring you more coverage than working with an external party and also save you money. Most journalists would prefer to talk to experts, rather than to PR Pros. As a business owner, this gives you a unique advantage. Since you understand your business best, you can pitch yourself as an expert. Writing white papers, guest posting and speaking at industry events will also help in showcasing your expertise. The first step is to contact the right journalists and influencers. Create a wish list of reporters and publications that you would like to work with and start collecting contact information. Reporters get thousands of emails from people pitching stories, so it is important to take the right approach. Ensure that you have a newsworthy story before going after publicity. This could be the launch of a new product or some accolade that your brand has received. Before pitching the story, start a conversation with the reporter by reaching out on social media. Work on building a relationship by expressing an interest in their work before pitching your news story. Making personal connections by meeting reporters face to face also helps. You can meet reporters at meet-and-greet sessions and conferences. Talking to them will help you understand what kind of stories they are looking for. Building relationships with members of the media take time. But this will pay off in the long run and become one of the best PR tools for your business. Social media has drastically changed the PR landscape. Thanks to this, you have a plethora of online resources to help you find anyone you need to get in touch with. In the past, only experienced PR professionals had access to media lists. But now you can establish these connections through social media by investing some time and energy. 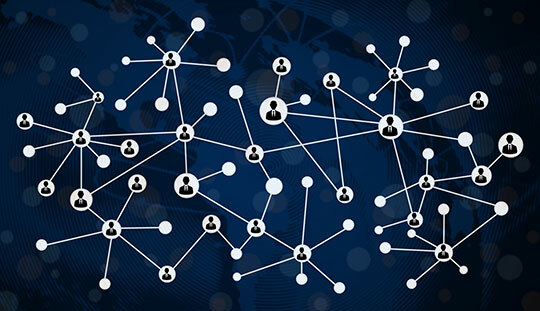 Through social media sites such as Facebook, LinkedIn, Google+ and Twitter you can connect with bloggers, reporters, and other influencers instantly. 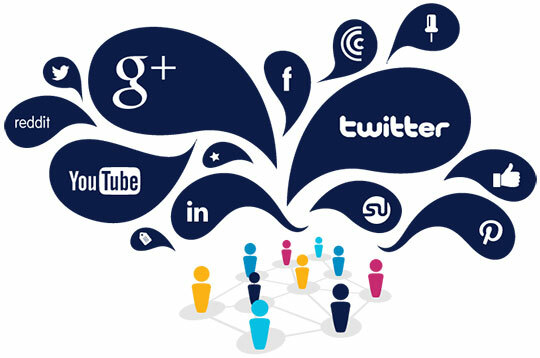 Based on your objectives, you can choose the right social media platform that meets your needs. Seek out journalists who are covering topics relevant to your industry and send them a message. Many members of the media publish their email addresses, so you can even write to them directly. But always remember to take a diplomatic approach and never pitch your brand forcefully. Arguably the most important aspect of doing your own PR is being prepared. Do your homework and find out more about the reporter you are approaching or the event you are speaking at. Take the time to understand how you can best convey the important aspects of your business. This will go a long way in ensuring that your efforts are successful. The words you use when pitching your brand must never be left to chance. They must be compelling enough to encourage reporters to find out more. So it is crucial to prepare talking points, which are essentially a list of topics related to the story that you’re pitching. Being prepared will ensure that you put out the right information about your brand have answers to any questions asked. Before the advent of the internet and social media, PR professionals would send printed press kits to journalists. These days your website and social media pages are the first points of contact for your brand. So it is critical that these positively portray your brand image and what you do favorably. As the owner of the business, ensure that your bio is included as well as mentions of any awards or accolades received by your brand. When your company comes across as authentic and professional, reporters will be more willing to accept your requests. If a reporter asks for an interview to find out more, be prepared with your talking points and relevant information. Remember that any information you give out could end up being published. So take your time with responses and be aware of what you are saying at all times. Be in charge of the conversation and try to steer it in the direction you want. Communicating the right message is crucial to succeeding in your PR efforts. When attempting to publicize your brand, it is best to take a tactful approach. With today’s rapidly evolving marketing landscape, it is necessary to update your strategies regularly. As your business expands you may want to consider working with a PR expert or agency. But by giving DIY PR a try, you will have the experience to understand what public relations is capable of delivering. When you are educated about the subject matter and armed with the right tools, you can successfully accomplish your PR goals. This article is written by Nancy Grace. She is a social media writer at iDigic who also contributes for hundreds of other blogs. Her articles predominantly focus on social media and are widely followed by readers from all over the world. Retweets are an effective way to get more of public attention and to gain more popularity instantly. So now having 1000s of twitter retweets is really essential and you need to try your best to get more twitter retweets as they are the perfect solution for users who want to get viral online by having most of the retweets on twitter posts.